Critical Pedagogy is a way we can fix our world. Paulo Freire, in his work, Pedagogy of the Oppressed lays down the framework for this educational philosophy designed to give oppressed people the tools to understand their oppression and take constructive action to end it. Though I believe critical pedagogy can be applied in any form of teaching and there is more work to be done in critical pedagogy, I have collected dozens of resources in a livebinder, specifically geared toward Critical Pedagogy for Music Education. Below is embedded my video introduction to the livebinder (in which I go off script and “um” quite a bit) as well as the loose script I used to make it. This is an introduction to a livebinder I created to collect dozens of resources relating to Critical Pedagogy for music education. I’ve broken the livebinder into 5 categories, each represented by a tab at the top of the livebinder page. The first, which I called “introduction” simply contains this introductory video. If you’re viewing this video on youtube, the link to the livebinder will be below in the video description. The second category is called “what is critical pedagogy.” The main page that I link to under this tab is the wikipedia page, which give a good overview of what critical pedagogy is. Critical pedagogy is an educational philosophy that was created by Paulo Freire, a Brazilian educator, who’s book, Pedagogy of the oppressed, I placed under the first tab. Though the book, written in 1969, was available through the 70’s, it wasn’t until the 80s that this educational philosophy was expanded and really brought to the United States by Henry Giroux, whose work I also have links to in the binder. Critical pedagogy is basically the critical reflection about the values that inform our teaching while we help students to be able to critically self-reflect on the knowledge and values they find in the classroom and to recognize connections between their problems and experiences and the social contexts in which they live. Giroux says, it’s [an] “educational movement, guided by passion and principle, to help students develop consciousness of freedom, recognize authoritarian tendencies, and connect knowledge to power and the ability to take constructive action” (Giroux, 2010). In America we still have a straight, white, middle class male hegemony. Our school systems were originally built on this as a tool to enculturate our population, and since our educational system was adopted in 1852, it’s served this purpose pretty well. I say adopted, not created, because it was based on the 18th century Prussian system, created by the king to provide “not only the skills needed in an early industrialized world (reading, writing and arithmetic), but also a strict education in ethics, duty, discipline and obedience” (Prussian Education System on Wikipedia). Kids who don’t fit the description of white middle class, many kids of color, kids that aren’t neurotypical, kids from different cultures, are often made to feel inferior and inadequate. Critical pedagogy should correct this problem. In this tab I have placed a number of articles and videos describing how music like African American slave songs, south American protest songs, Irish songs, punk rock, and reggae have all been important in changing things in the world for the better. 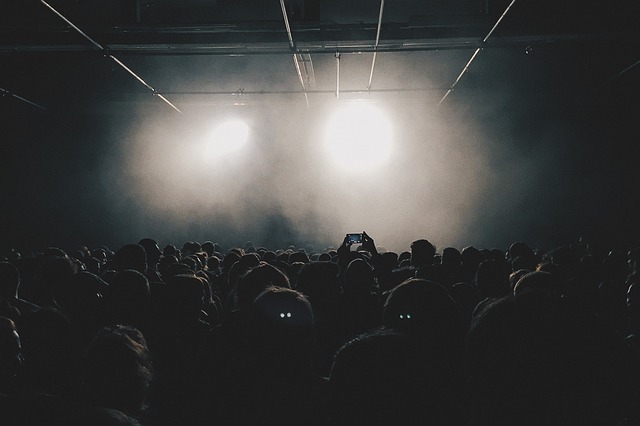 It’s also important to remember, especially with the modern genres, there are many sub-genres that develop, some dark and negative – it’s important to understand where the music is coming from. Much of this music will be valuable in your curriculum. This brings me to the next tab, “Critical Pedagogy for Music Education.” In this tab I draw heavily on the work of Frank Abrahams who developed the ideas of Critical Pedagogy for Music Education. Abrahams draws on the work of critical theorist Jurgen Habermas, sociologist and philosopher Pierre Bourdieu, and critical pedagogs bell hooks, Henry Giroux, and Paulo Freire to develop his system that begins with four questions: Who am I? Who are my students? What might they become? and What might we become together. He challenges the traditional structure of the classroom which has a definite heirarchy, with the students right at the bottom. He instead seeks to validate the students by acknowledging and honoring what they already know, what they’ve learned outside the classroom, the richness of knowledge that they bring with them. 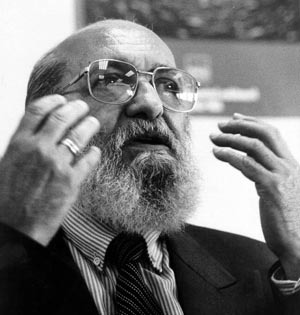 Freire called the traditional teaching method “the banking method” in which the teachers are to deposit knowledge into the students who are seen as empty vesels. Abrahams then uses the knowledge of the students as the bridge to the curriculum we as music educators need to teach. Finally, there’s a hidden benefit beyond bringing our students closer to real liberation. Abrahams found in his studies with sixth graders in critical pedigogy in music education that when they “were interviewed four months after they completed their music course. Results showed that they were able to discuss the concepts presented, remember the musical content, and had overall positive feelings about their experiences in the general music class. Furthermore, they were able to meet benchmarks for students in grades 5–8 as articulated in the National Standards for Arts Education” (Abrahams, 2009?). By the end of 6th grade, through critical pedagogy these students had hit all the benchmarks they needed to hit by 8th grade! My last tab is called “Other Resources.” It’s not specific to music or critical pedagogy, but it’s a collection of interesting supporting materials regarding education, social justice, ethnomusicology, and sociomusicology. I fully endorse critical pedagogy for music education. The resources I’ve placed in my livebinder will take some time so examine, so I’ve placed the most immediately helpful pages first under each tab. Explore, enjoy, and thank you! In a student-centered educational setting, the student’s needs are considered first. What the student wants to learn becomes important as the student is instrumental in selecting and organizing the content. The student also helps to determine how time is used and her voice is heard as much, if not more than the teacher’s. The arrangement of the room is designed with the student’s best interests in mind and the teacher maintains the conscious idea that the student’s education is the most important reason they are there at all. In the teacher-centered model, all repertoire is selected by the teacher, which results in a lack of interest in the student and a possible inability to even recall the music. In the student-centered model, we take Dewey’s progressive education model (1938) a step forward. The content is not just what the student needs, but is cooperatively selec ted by the student, with assistance from the teacher, from the music that the student loves. The teacher then places the music in a logical order with the help of the student to maximize the learning potential. The content can sometimes become dynamic as the student’s taste changes over time and the process can be repeated as many times as needed, developing a personalized system of instruction as Fred Keller proposed in 1968 (Driscoll, 2005). This is a greater time and resource commitment for the teacher, but in the end results in greater appreciation and realized potential in the student because the music is familiar and the schemata is already in place. This, coupled with a greater motivation to practice results in a greater ease of learning. In the teacher-centered model, students are required to practice exercises without context with little success. In the student-centered model teachers are called upon to do what the past masters have done and dynamically draw these same exercises out of the student-selected content so the student can see the context and the practice becomes meaningful. As the student progresses, patterns emerge that have been seen before in different contexts. It is the teacher’s job to isolate these again and help the student to learn to see these patterns themselves. From a situated cognitive perspective allows for greater ease of transfer (Brown, Collins, Duguid, 1989). This kind of practice not only helps the student to more fully understand their music, but also increases their critical thinking skills. In the teacher-centered system, the teacher often resorts to shame as a punishment, making the student feel bad for not practicing, even though, in many cases, it is actually the teacher’s fault. In the student-centered system, the teacher does not resort to shame. Instead, if a child does not practice, it is assumed that the child was motivated but there were circumstances that prevented her from doing so. If the circumstance that was responsible was actually a lack of motivation, it becomes the teacher’s job to find that which will inspire the student to practice again. In the end, if the child simply does not want to play music, or perhaps, wants to try a new instrument, there is no shame. In the teacher-centered system, students sometimes lack a sense of progression. In the student-centered system, progression is celebrated and recognized regularly. It is the teacher’s job to help the student understand their accomplishments. In the absence of recognition of accomplishment, students may want to move too quickly through their selected repertoire as a way of feeling accomplished. The teacher needs to be vigilant in keeping the balance between the student’s need for growth and desire for advancement. If the student insists, perhaps a part of a new piece can be started while previous work is continued, but it is important that the student understands, appreciates, and is an integral part of the decision. In the teacher-centered system, the student practices alone. In the student-centered system, communities of practice (Wenger, 1998) are always encouraged. The first level of this community is the family, who are invited into lessons and encouraged to learn the instrument with the student to act as their support at home. Usually, with younger students it’s a parent or older sibling, who is shown, by the student in the lesson, the music she is working on. At home, if the student encounters any difficulties, the family can put their knowledge together and overcome the difficulty together. The second level is the student’s friends. If the student’s friends play other instruments, study with other teachers, or do not study at all, the teacher can still help to bring them together as a community of practice, inviting them into lessons and helping them to learn the same music and play as an ensemble. This introduces another motivation as the student works to learn music with her friends. Performing music is the perfect social learning environment, and has proven to be an effective one. The final level is to invite all a teacher’s students into a large group lesson, allowing the students to get to know each other’s ability and learn from each other much like Vygotsky argued with his social development theory (1978). Students of different skill levels should be allowed to share and learn from each other, which, as a result, creates a richer pool of knowledge and experience to help the student grow. In a teacher-centered system, the teacher’s ideas are more important than the students. In the student-centered system, the student’s conceptions are valued by the teacher as possible solutions. The teacher offers other interpretations as part of the student’s learning experience but it is the student’s choice to interpret a piece however she wants. Further, to increase the student’s learning experience, the teacher adds elements of creativity and problem solving. Using the elements the student has learned, she is encouraged to create new music or modify existing music. This exercise helps to deepen the student’s understanding of the fundamentals of how music works. Students are also asked to struggle with learning music independently. During her time away from lesson she will figure melodies or chords by ear, to the best of her ability like the students in Schoenfeld’s classroom (Brown, Collins, Duguid, 1989) or in the spirit of Kapur’s idea of productive failure (2011). The teacher, during the next lesson session, will help her to find the right notes if there was any difficulty or misconception, which there often is in music, or will recognize her success and move her to a more difficult challenge. This is a talent that will prove invaluable to her in the future as she moves from teacher assisted learning to self learning. In a student-centered learning environment, I believe it is the teacher’s job to eventually render himself obsolete. Within the student-centered learning, to facilitate the most potent learning environment, important elements of the system include the importance of progressive education (Dewey, 1938), the student’s autonomy, competency, and relatedness (Deci and Ryan, 2000), working in a community of practice (Wenger, 1998), social learning and the zone of proximal development (Vygotsky, 1978), the importance of situated cognition and the movement from novice to expert (Brown, Colins, Duguid, 1998) and productive failure (Kapur, 2011). This should not be the end. A system that becomes static eventually dies. I think a student-centered learning system needs the flexibility to remain dynamic to truly remain in the best interest of the student. The current state of private music education. Within traditional western music instruction there are many opportunities for improvement. In a traditional western system, the student meets with the teacher once a week. The student plays the music – usually music chosen by the teacher – she has been working on in her practice sessions outside of the lesson period. The student works out trouble spots with the teacher and receives interpretational advice from the teacher, sometimes at the expense of the student’s ideas. Worse still is the shame the teacher makes the student feel if, due to a lack of interest in the teacher’s musical selections, she doesn’t practice. The student might learn new techniques or build on old techniques. Then she is set free for a week to suffer through her practice alone. This is the system that most traditional western music teachers employ. Though many instructors have the best intentions, it only works well for very few students. It is a predominantly teacher-centered learning system. 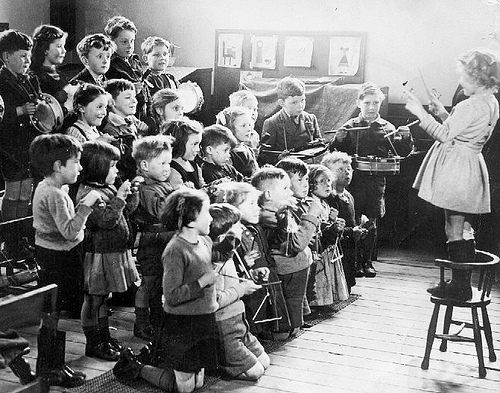 Why teacher-centered music education fails. Teacher-centered learning is any system in which the teacher’s will is the most important. The teacher selects the content, and engages in direct teaching in which the teacher speaks and the student listens. The teacher’s voice is heard more than all of the students’ voices combined. The setup of the learning space is determined by the teacher as is the use of class time. Even in the more “progressive” systems, like Suzuki, we see the same ideas take hold despite the pure progressive ideas at the foundation of the system. Even when fun and games are employed it is at the discretion of the teacher and is nothing more than a cheap trick to push the student to compliance. Perhaps, because the teacher-centered system is the one most of us have experienced, despite the fact that for more than a century people like John Dewey have spoken about the importance of progressive education (1938, 1897), it takes a powerful and conscious act of will to step beyond it. Within a teacher-centered system, the teacher chooses content, either by selecting an existing method, selecting his favorite pieces, or a combination of the two. Though the selected music contains every element of technique the student should learn to be competent and the teacher usually walks the student through the piece in the lesson, this is a bad practice for two main reasons. First, the student is usually unfamiliar with the music and does not hold the proper schemata (Driscoll, 2005) to remember or fully process it. This makes practicing more challenging when the student returns home and has to practice alone. Second, there is usually a lack of interest in practicing because the student is not invested in the music (Deci and Ryan, 1985). This, combined with the lack of schemata creates a situation in which the student is often left with no concept of the music at all. As well as the teacher-selected repertoire the student is also forced to practice exercises without context, which on the surface might appear to be a good idea. In theory, once a pattern is internalized, it can be applied anywhere. This practice, however flies in the face of situated cognition (Brown, Collins, Duguid). Not only does the lack of context effect the student’s ability to learn, but scales, arpeggios, and other finger exercises played in this way often become boring and seem like work to the student. The exercises themselves were originally parts of music that the expert deemed challenging which were isolated for focused practice. However, like the sentences in Bransford’s paragraph about washing clothes (1979) in which the context was completely removed, though they are easily understood, they loose their greater meaning and value when removed from context. When the student returns to the teacher after a lifeless week of practice, the teacher then unleashes the worst tool of all – shame. Instead of looking at the positives and seeking to build from there the typical teacher whether conscious or not will use shame as punishment for not practicing, making the student feel bad about herself in the hope that she will practice next week to avoid the same treatment. And on those weeks she does practice, she receives positive reinforcement (Behaviorism), which rarely is enough in comparison to the practice regimen that has been prescribed. Though this cycle repeats, it does not have the desired effect very often. Rather, it creates in the student a dread of playing her instrument at all. And in the cases of students who have a real love of music, they will switch instruments until they find a teacher who is actually different, and cares about his student’s education. In the worst cases, the student gives up on music altogether with feelings of defeat and lowered self-worth. This lack of learning leaves students with absolutely no sense of progression, no sense of accomplishment. Not aware that there is another course of action, the teacher blindly continues to follow the plan, sometimes making his students play the same piece for months at a time (and for an entire year in one case study I have encountered), despite the complete lack of enthusiasm on the part of the student, the time wasted, and the frustration of all parties. The teacher easily looses sight of the child’s potential as the student’s Zone of Proximal Development (Vygotsky, 1978) is never fully understood or addressed in the learning context. Instead, the teacher only sees what has not been accomplished in the last piece and neglects the parts the student could easily accomplish, perhaps under different circumstances, but apparently cannot under the present circumstance. Most students learn and practice alone, without social context (Vygotsky, 1978) or a community of practice (Wenger, 1998) to lean on for support. This isolation leaves the student to judge her accomplishments only in comparison to the teacher, which can be unfair. It also becomes a stale learning environment, lacking in any kind of diversity. Such an environment can also foster the absence of joy, connectedness, and sometimes even purpose. Finally, if a student reaches a higher level, her playing is ready for the teacher’s interpretational advice. The teacher listens to the performance and offers concrete suggestions to “fix” her interpretation of the music. Students interpretations are mostly dismissed by the teacher for “right” answers. This can further crush the student’s confidence and hinder her ability to make choices for herself. I know that not all teachers share this process, but having studied with dozens of teachers, I feel it’s more prevalent than it should be, and in view of the destructive nature of the process in which students are systematically made to resent music, I think there is serious need for a reassessment and restructuring of the traditional system of western music instruction. Part 2, Student-Centered Music Education.